Launching a home-based business overlooking a waterfront location is an ambitious idea with many possibilities. Initially you have to decide if your home will be open to the public, which raises many additional issues, or if it will be a private business simply run from the home. If you choose the latter, the possibilities are endless from office work like accounting to creative endeavors such as art and photography. Be sure to check with state and local government offices to comply with licensing, zoning and tax regulations regarding home-based businesses. The following ideas offer insight on both private and public waterfront businesses. One of your first considerations should be whether or not you want to run a seasonal or year round business. If your waterfront property has sunshine most of the year, then it can be an ideal tourist attraction. But even if the property is in a location such as Lake Tahoe, where there is snowfall in the winter months, it can still be a year round destination for travelers. Ideas for a year round business include converting the home to a bed and breakfast, a business center for travelers or a production studio. Ideas for a spring and summer business include becoming a water sports merchant or possibly even offering lifeguard training classes. A private home on the waterfront provides an excellent creative backdrop for writing, film making, painting and any kind of financial or technical work. Converting your waterfront home into a bed and breakfast inn is one of the most popular home-based business ideas for waterfront properties. With many of the best waterfront locations, the location itself is a great marketing tool and can go a long way to help generating initial interest in the property. You can run a profitable business for travelers if you provide all the essentials that might be found in a hotel business center minus the lodging, recreation and food accommodations. The fact that your business has a waterfront view gives you the distinct advantage of promoting it with attractive photography, which can be inspiring to travelers. You might consider promoting the new location with colorful brochures at nearby hotels and motels that do not provide business centers. Some of the equipment and services you might offer guests include computers, Internet access, color copy, fax, mailing, shipping and notary services. A production studio in a waterfront home might be an idea to consider because artists love scenic environments. Many painters, recording artists and photographers prefer using their own portable equipment so you wouldn’t actually have to provide the equipment. If the studio is used for sound recording, then at a minimum, you’ll need to invest in soundproofing the walls or even building a dedicated room for vocalists. Otherwise, an empty room with artistic decor, electricity and Internet access are the main selling points that you can promote in both travel guides as well as trade publications. If your home is near a river or lake in which the local government promotes a variety of water sports, including fishing, boating, rafting or swimming, then you have a great opportunity to attract spring and summer water sport vacationers. All you really need to do is provide access to the water, but you can also resell or rent water sports gear as well for an even more lucrative business opportunity. Lifeguard training is another seasonal business opportunity to consider. In order to teach and conduct lifeguard training, you’ll need First Aid and CPR certification, which is taught by the American Red Cross, American Heart Association or community institutions. You will need to gain certification for surveillance and rescue procedures in the event of emergencies. Anyone you hire as a lifeguard or water safety instructor will also need to be trained and properly certified. In order to run a profitable lifeguard training business, you should get to know similar professionals in other cities if local competitors are not responsive to sharing business ideas. Turning your waterfront property into a campground for dwellers in tents and RVs is an effective way of profiting from your property during spring and summer. It’s more complicated than running a lodge because you need to provide facilities for RV dumping in addition to electricity, outdoor lights, laundry and Internet access. For the most part, guests will handle their own needs including food. You can market your campground to schools and other established organizations. 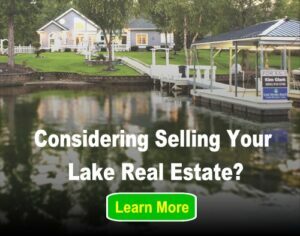 The number of ideas for waterfront home-based businesses is only limited by your own creativity and imagination. Above all, finding a business that fits with the local residents and environment is essential, but more importantly, don’t forget to consider your level of interest and passion for the business itself. Having an interest, love and a passion for the type of business that you’re entering might be the most important factor to consider of all!